Add the element of height to your buffet table or food display with the Brushed Stainless Steel Square 3-Tier Riser Set. 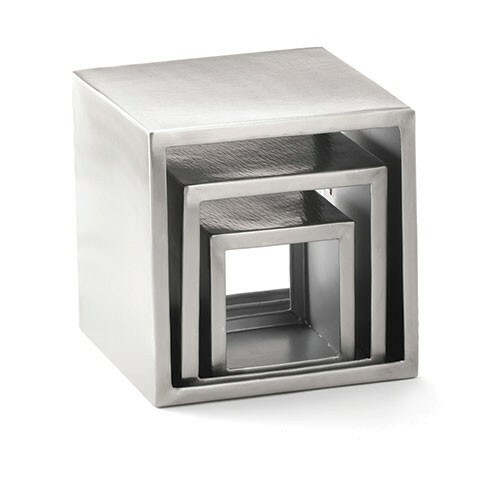 This set of three square risers has a brushed finish that works brilliantly with any tableware collection. Use these tiered risers to draw attention to particular items, including fresh salads, colorful side dishes or exotic dishes.